Our client’ s growing Clinical Development Operations team is setting the standard for trial design, conduct, and analysis in gene therapy. Join a collaborative, creative and passionate team as they help bring the promise of gene therapy to patients with severe genetic diseases and cancer. This position will report directly to the Director, Clinical Compliance within the Clinical Development Operations department. This individual will contribute to the management of the organization’ s Standard Operating Procedures and associated training. In addition, this individual will oversee process improvement initiatives within CDO. Maintain list of SOPs and associated documents, ensuring SOPs owners are assigned. Lead ad-hoc updates that may be needed to address internal audits, health authority inspections, or process improvement initiatives. Act as CDO expert and primary point of contact regarding the system and workflow for SOP review and approval. Liaise with the Quality Systems group to monitor SOP updates and reviews that occur for processes that our owned outside of CDO and require CDO input. Author the CDO Training Matrix and keep it up to date. Author quizzes for CDO SOPs. Track training compliance for CDO and provide quarterly training metrics to Quality. Implement CDO instructor-led training. Liaise with members of Clinical Compliance and Quality to identify best practices sessions, lessons learned, etc. Maintenance of list of process improvement projects and associated SOPs that may be impacted. By working with CDO Senior Leadership, ensure projects are prioritized. May lead process improvement activities as assigned by management. Minimum of 5-7 years industry experience in a Clinical Operations, Clinical Quality Assurance or Clinical Compliance. Previous experience as SOP author, reviewer and/or approver. Ability to execute and follow-through to completion. Ability to work effectively in a collaborative team environment where results are achieved through influence and the incorporation of multiple points of view. Independently motivated, detail oriented and good problem-solving ability. Excellent organizational skills, able to multi-task in an extremely fast-paced environment with changing priorities. Excellent communication skills and ability to influence across multiple functions. 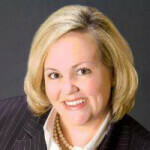 Tracey has more than 20 years experience in the staffing and recruiting industry. She spearheads The Steely Group's Client Services efforts, ensuring superior customer service, communication, and ongoing support to clients and candidates alike. Additional areas of expertise include client relationship management and team building.